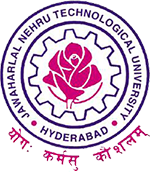 JNTUH MBA Notification 2018: JNTUH MBA I, II, III, IV Semesters Regular/Supply Exams Notification December 2018, Jntu hyderabad mba end examination notification 2018. The Notification is hereby issued for the I & III semester Regular/ Supply University examinations and Supplementary University examinations of II & IV semesters of MBA course. You are requested to note the following schedule of events associated with the Regular/Supplementary Examinations of MBA course. These Examinations are scheduled to be held in the month of December-2018. 1. MBA – I SEMESTER-(R17/R15/R13) REGULAR /SUPPLEMENTARY EXAMS–DECEMBER-2018. 2. MBA – II SEMESTER – (R17/R15/R13) SUPPLEMENTARY EXAMS – DECEMBER-2018. 3. MBA – III SEMESTER – (R17/R15/R13) REGULAR /SUPPLEMENTARY EXAMS- DECEMBER-2018. 4. MBA – IV SEMESTER – (R15/13) SUPPLEMENTARY EXAMS – DECEMBER – 2018. 2. Ph.D Course work subjects Exam registration shall be done through exam registration portal only.